Is the Xbox One finally gathering momentum? Sales of the Xbox One have doubled in the US following Microsoft's decision to drop the Kinect as a core product and lower the price. With the Xbox struggling against its rival the PS4 in the early skirmishes of this generation's console war, Microsoft needed to act, and the about-turn on how critical Kinect was appears to have worked. In harness with a price drop for the SKU with Kinect, the Xbox One has seen a surge in sales - with a release from Microsoft quoting figures from "internal data based on retail calendar and sold through numbers". "Since the new Xbox One offering launched on June 9, we've seen sales of Xbox One more than double in the US, compared to sales in May," said the company. 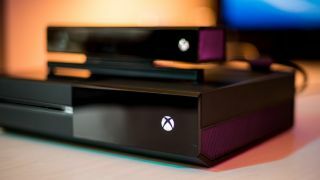 This tallies with what Microsoft's UK Xbox marketing director Harvey Eagle told TechRadar at an event last week - although he insisted that the Kinect remained a popular extra. "Since the new version has been in the market we've actually see lion's share of sales go towards Xbox One with Kinect, said Eagle. "I think people are seeing the value of for 50 quid [ $50 in the US] more I can get Kinect with it and it can do a bunch of cool things."